What's New in this Lightroom Release > Lightroom Classic Updates > What’s new in Lightroom CC 2015.1 and Lightroom 6.1? Just 2 months after Lightroom CC and Lightroom 6’s release, the first major dot release is available. If you have a perpetual license, go to Help menu > Check for Updates. Unlike previous Lightroom versions, it’s now a patch installer rather than the entire program, so it’s a much smaller download. CC subscribers gained a couple of new features! In the Effects panel, there’s a new Dehaze slider which reduces (or adds) atmospheric haze and fog. It also works well on backlit photos, underwater photos and reflections. The technology was previewed at Adobe Max in 2014 – you can see the video here. Adjust the white balance before adjusting the Dehaze slider for best effect. You may need to adjust Basic tone sliders, saturation, noise reduction, vignetting and spot removal after applying Dehaze. If the slider isn’t available, check your photo is set to PV2012 (Process Version 2012). It looks a little like a combination of contrast, clarity, vibrance and blacks, but it runs complex calculations to adapt to the content of the image. For the best result, use Dehaze along with these other controls. The Whites and Blacks sliders can now be applied to selected areas of the photo using the Graduated Filter, Radial Filter and Adjustment Brush, to fine tune the tones in the lightest and darkest areas of the photo. These features aren’t available in the perpetual Lightroom 6 version (due to revenue recognition laws – don’t ask me, I’m not an accountant! ), but ProLost have produced free presets that allow you to use Dehaze even if you’re not a subscriber. There’s a new Network tab in the Preferences dialog, for users accessing the internet through proxy authentication servers. Blacklisted GPU’s that were causing crashes, so GPU is disabled automatically. As usual, there are still some bugs outstanding which they’re still working on. If you find a bug, click here to report it. They accidentally introduced a new bug in this build. If you’re a D810 user, you won’t want to upgrade yet as the Adobe Standard profile is missing, or you’ll need to use the fix in this thread. And if you sync to Lightroom mobile, don’t worry if it looks like it’s syncing all of your photos again – it’s just sending updated metadata due to a hidden bug fix. Videos shot on your iPhone/iPad are now synced back to the desktop along with your photos. That’s it for now! Over the next week or so, I’ll be updating my Lightroom for iOS book, and adding the new 6.1 features to the Members Area for Adobe Lightroom CC/6 – The Missing FAQ purchasers. Greetings from the other side of the pond. I use mostly a Fuji X-Pro 1 and I read somewhere in passing the Lightroom revamped the algorithm for the Fuji sensor. I did not see it in your notes. Did I misread it? if it is available is it for 6.1 or just cc? I’m still using LR5 but I would upgrade if Adobe fixed the Fuji algorithm. “Reduced “color blur” artifacts when processing Fujifilm XTrans raw images – In collaboration with Fujifilm, we are still investigating methods to improve fine detail rendering and overall edge definition. So it’s on their radar, and it should be considered a bug fix so it’ll be in 6.x as well as CC. So am I reading that correctly? If you bought the stand-alone version, you don’t get the new features, just the bug-fixes? Is this going to be true going forward too? Yes, that’s right David. It’s always been true in the past, so it’s likely to remain true in future too. New features have always been their main selling point for the subscriptions. Adobe has made updating the standalone LR6 so convoluted. I don’t get mad often but this manipulation to migrate to their umbilical cord torques me and and makes me feel like a black sheep. They have the freedom to do whatever they want but I don’t have to like it. Help menu > Check For Updates should do it from memory. Are you having trouble with that? Thanks for that Victoria, I too was a bit lost for this update. My ears can rest from those screaming fans at last!! Has the Leica M9 been dropped from the list of supported cameras, or was it never there in the first place? Or is it hidden as the ME? I think that’s a typo but I’ll double check. The M9 shoots DNG, doesn’t it? If so, it’s definitely supported. Thanks Victoria. Yes it does shoot DNG. That’s one thing off the list. Now to attack the problem of old 35/50/90 M-pre ASPH Summicron lens profiles! Help -> Updates… does absolutely nothing on my installation. OS X 10.9.5, LR 6.0.1. Is there an alternative path to getting the update? 6.0.1 seems buggy and I’d love to get the update. Thanks! Never mind. Problem solved with a reboot and another vigorous round of cursing. Amazing how often a reboot works! I’ve upgraded to Lr 6.0 perpetual but I can’t see the 6.1 patch when I look for updates. 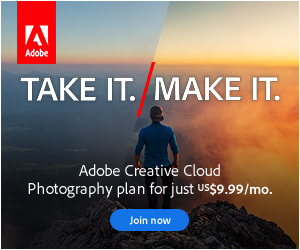 All I get is the usual Adobe CC sales pitch and an offer to upgrade to Lr CC. I can’t find it on the Adobe update pages either. Thanks for all your fantastic help pages. I’m still in limbo as to choosing for the perpetual (LR6) version or the CC-one. I understand the new features to exclusively be for the CC-users and bug-fixes for both categories. However – new camera-support as well as new lenses … that’s not a bug-fix, but not a new feature either. Do perpetual-license users receive these updates also? Excellent question. Since they announce at release that they’ll be adding new cameras, they can continue to do so throughout the shipping life of the product. So yes, perpetual license users receive the new camera/new profile updates as they have done in previous versions (e.g. until the next major release ships). Thanks a lot Victoria, that clarifies the matter! I upgraded my Samsung laptop to Win10 from Win7 about a week ago and the overall performance enhancement is really good. I had Lightroom 6.1.1 installed under Win7 and it was working without any issues albeit a bit sluggish. After the Win10 upgrade Lightroom is considerably faster, but I have noticed one serious issue. On importing orf RAW files from an Olympus OMD-EM5 mark2, Lightroom reports about half of the files as corrupted. The files are not actually corrupted as I can open them in other raw capable programs like Faststone. Do you have any thoughts on this issue? Use http://www.wetransfer.com or Dropbox to send me one of the files and I’ll check it here to see whether it’s actually corrupted, and we can go from there. A file is transferring to mail@lightroomqueen.com right now. Lightroom reports “Lightroom has encountered problems reading this photo” and it applies to about half of the photos transferred from an (correctly formatted in camera) SD card via the Library module. Hi Torje, I’ve just replied. It’s definitely corrupted – Olympus’ own software was able to read but not edit the file. I’d go looking for hardware problems as the first port of call, particularly for card readers, camera cables, hard drive problems and RAM.